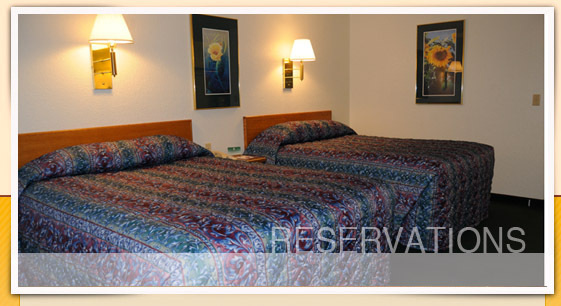 Call our front desk to reserve your room, ask about available dates, or check rates. During high occupancy periods, room availability changes frequently. certain you will find that the Locomotive Inn is the best value for your money. 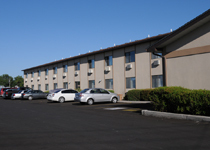 Select a room with 1 King, 2 Queens, or Extended Stay. Standard room includes amenities. Stay nightly or weekly in our Economy Rooms. Economy rooms may have 2 people max - no children or pets allowed. 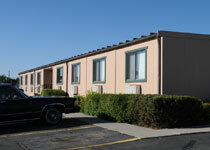 Rooms include 1 queen-sized bed, stand-up shower, flat-screen TV, free wireless Internet. Pets Small pets are allowed with restrictions. There is a limited number of "Pet" rooms which will be assigned in the order the reservations are received. A $10 non-refundable fee is charged and a credit card must be presented at check in. Compare for the best hotel rate in the Billings area and the easiest access to some of the most beautiful, popular, and historic tourist attractions in Montana and northern Wyoming. 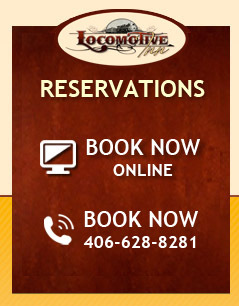 Book your room directly at the Locomotive Inn through this website. Our value opportunities add to the enjoyment of your Montana experience. Comfort and hospitality distinguish the Locomotive Inn beginning with a list of free amenities that include our expanded continental breakfast, high speed wireless internet, local phone calls, in-room coffee, and passes to the adjacent Locomotion Fitness Center. Our friendly, knowledgeable staff are focused on customer service whether you need wake-up calls, business services (mail, fax, copier, or computer) or directions to your favorite restaurant—all types of options within a mile of the hotel.